Would you like your V-Max in Roadster or Tourer flavour, Sir? 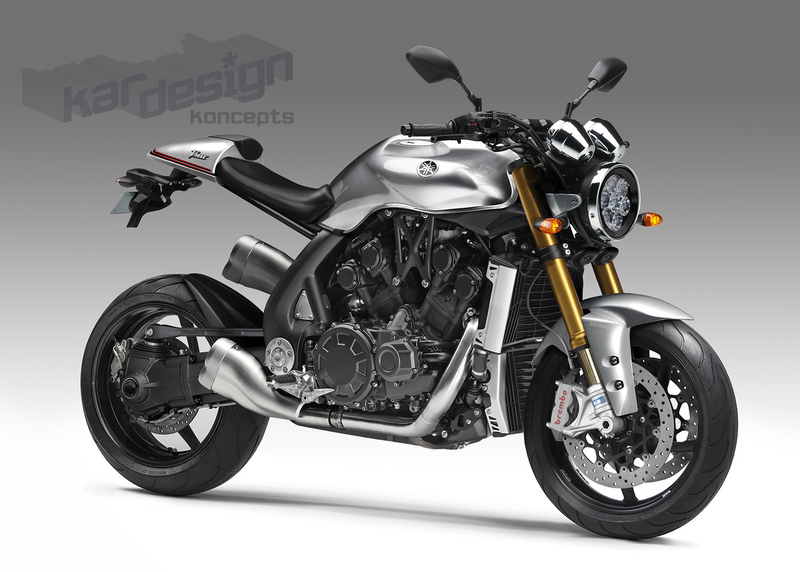 Yamaha’s V-Max has always been about the engine, road presence, and power wrapped up in a heavyweight musclebike style. But what if there was a new brief? The term “Café racer” came about from the British rockers who would ride their bikes from transport café to transport café in the 1960s. Basically a lightweight machine with solo seat, low handlebars and a stretched fuel tank they were built more for speed than comfort. Fast forward to 1985 and Yamaha have launched the SRX600, a café racer-styled single-cylinder machine to take on the equivalent Honda XBR500. With a neat roadster profile the SRX was light and nimble. 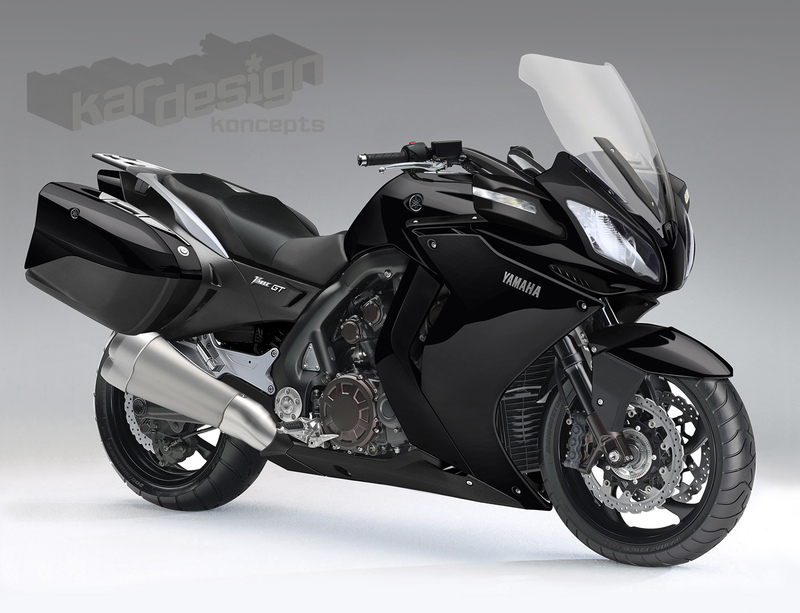 Fast forward again two decades to 2005 and Yamaha unveil their MT-OS concept at the Paris show. This time it’s a V-twin that gets the café treatment with a small half fairing and is well received. 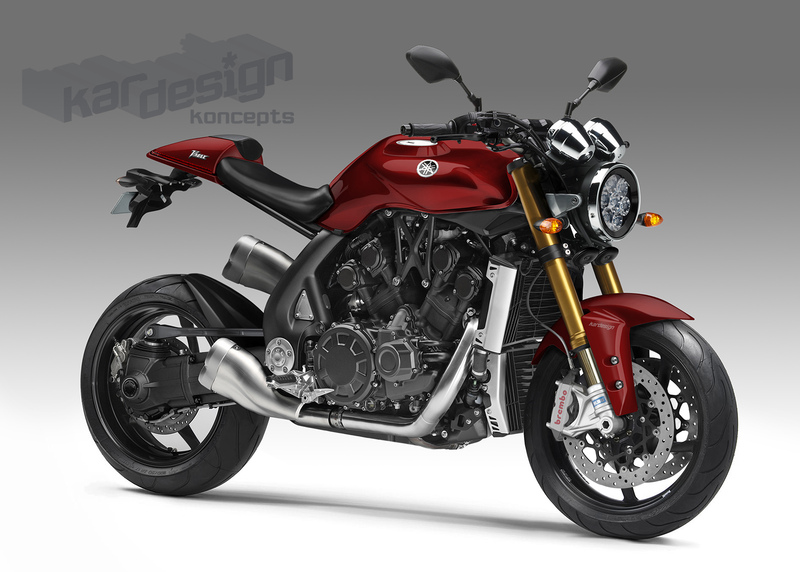 Unfortunately the bike Yamaha eventually put into production was the tedious and pedestrian MT-01 so we decided to have a stab at our own Yamaha café racer. Anyone for coffee? The V-Max is a fantastic bike with an impressive engine, however the pricetag is as eye-watering as the performance so what better way to recoup some R&D costs by using it in our café roadster? 1679cc of heavyweight V4, almost 180bhp and 112ft-lbs of torque are impressive figures that will allow easy overtakes without any need to change gear. The V-Max is a heavy beast at 310kg and you feel every kilo of that on the road, hence we’ve stripped the chassis right back to bare essentials though we’re still using the main cast alloy frame albeit modified for a shorter wheelbase. 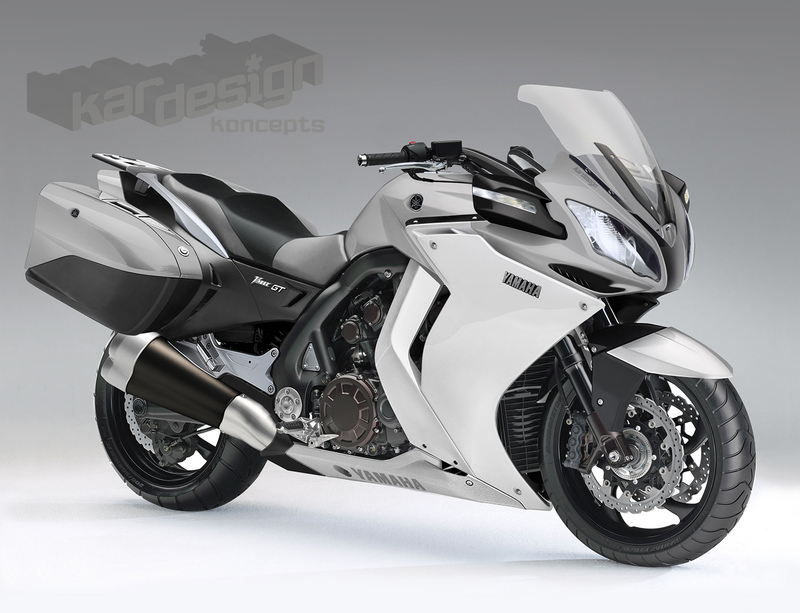 No pillion provision (and a shorted subframe), lighter wheels, brakes and suspension and smaller silencers. Gone is the massive king and queen V-Max seat too. We reckon 250kg is much easier to throw around those bends. The original V-Max had the motor as the dominating presence – it was basically an engine with a wheel either end. We’ve gone back to that with minimal bodywork, losing the oversized air scoops in the process so the bike is visually lighter than before too. The LED headlight is a nod to the concept MT-OS while the fuel tank boasts twin fillers for the wide tank. So… did you want one lump or four with that Espresso? If you’re looking for wind protection, scroll this way. If you’re after a big touring machine, then you’re spoilt for choice – all the main manufacturers have a bike than can easily whisk you and a passenger away for two weeks on the road, comfortably exploring the outer reaches of Europe with ease. Kawasaki offer their GTR1400, BMW have the amazing K1600GT, Honda will sell you a GoldWing and Yamaha have their competent, but dated FJR1300. It might be frugal, it might have a big tank range, but the FJR is into its sixteenth year now. With a few updates along the way we feel the humble FJR is due a rest from the range, rather than a revamp. What we need is something bigger and badder to compete. Cue the V-Max GT. It’s the most ludicrous engine that Yamaha have in their range and it’s perfect for catapulting two people thousands of miles away without breaking sweat. Yamaha’s premium powerhouse V-Max V4 motor weighs in at 1679cc, boasts a true measured 178bhp at the back wheel along with 112ft-lbs of neck-straining torque. It’s as grunty as they come and there are few engines that can deliver thrust in the manner the V-Max does. But it gets better. Remove the catalyser, baffles and add a Dynojet Power Commander and freer-flowing filter and the power goes up by 10bhp and at least another 10ft-lbs. Never mind a pillion and luggage, you could tow a car. For a heavy bike – we’re talking over 300kgs – the V-Max handles remarkably well so we’ve stuck with that as a starting point. That means huge 52mm forks, big 320mm discs with 6-piston calipers and a 200-section rear tyre. In the age of easy suspension adjustment we’d like to see it on our GT too, all controlled from the handlebars. The bodywork isn’t just for aesthetics, though that’s important. Our bike is aerodynamic and designed to cut through the air, even with a passenger on the back. With that in mind we’ve taken the best from Honda’s legendary Pan European – the superb mirrors as well as the screen and added them to our GT. Air intakes are courtesy of the R1 and R6 and the huge 25-litre fuel tank continues the FJR tradition of big miles between fill-ups. The panniers can only be inspired by one manufacturer as they consistently offer the best capacity and ease of use: BMW.